DAVID LE/Staff photo. 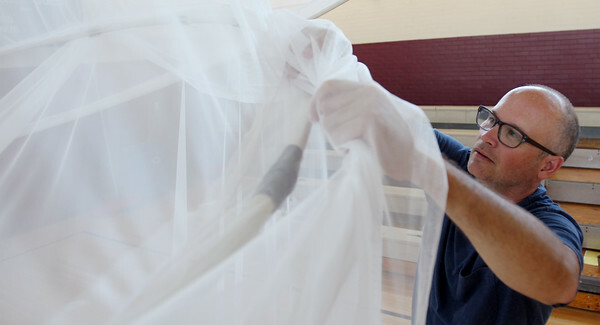 Rob Trumbour, of Rockport, uses binder clips to assemble a large lantern in the gymnasium of Rockport Elementary on Friday afternoon. Trumbour says this lantern is a mock-up and test trial for a bigger, world record holding, lantern they plan to build for next year's fireworks. 8/7/15.